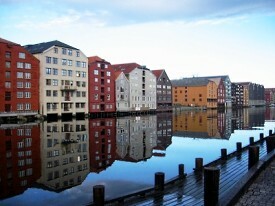 Beautifully situated on both sides of the River Nid, Trondheim is the third-largest city in Norway. Enjoy a reindeer steak and sample the local beer. Trondheim boasts a variety of interesting museums and is home to several educational institutions.